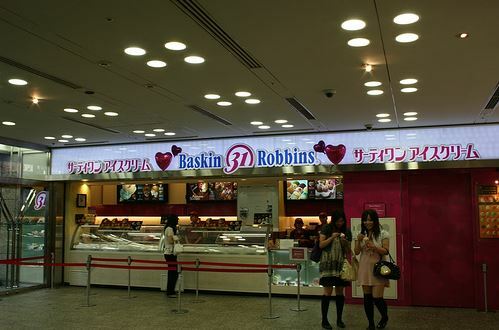 There is an ice cream mystery in Japan: Baskin Robbins (バスキンロビンス). The fact that it’s there and has ridiculous popularity is a mystery in itself but what I’m more interested in is what people call it. Basking Robbins is called サーティワン (thirty-one) in Japan. It’s not a casual nickname. To 99.9% of Japanese people, that is its official company name (商号), despite the letters BR and Baskin Robbins appearing everywhere. So official that using the real store name, even in its Japanese pronunciation, will not convey it’s meaning to most people. 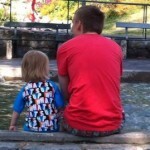 What happened to get to this moment? You might be thinking that it’s just a simple abbreviation (略), and Japan obsessed with abbreviations does this all the time. Look at マック (Mac for McDonalds) after all. But abbreviations take words and shorten them. 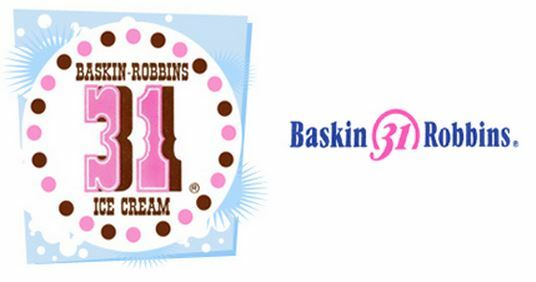 You would assume 31 would be taken from Baskin Robbins 31 Ice Cream, which was the original office logo (ロゴマーク) for the company. The 31 (which represents a different flavor for every day of the month) is even trademarked. However most Americans pay zero attention to the 31 part, and everyone just refers to it as Baskin Robbins. Say “let’s go to 31,” and you will get the same clueless look as if you said “let’s go to Baskin Robbins” to a Japanese person. 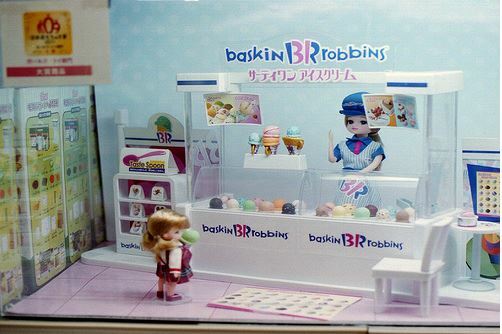 So why didn’t Japan take the Baskin Robbins part? And if they wanted an abbreviation, why not just call it BR (ビーアルー), which would be as easy (if not easier) as 31? 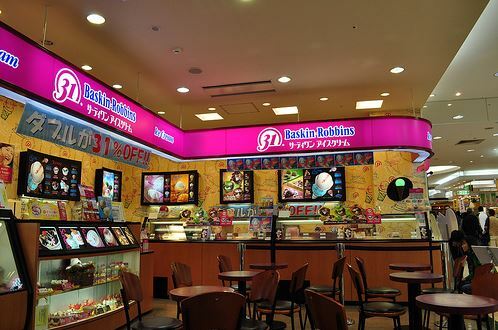 When Baskin Robbins came to Japan, it merged (合併) with the popular snack maker 不二家 (Fujiya), forming a new company. And what did they call that new company? Baskin Robbins is nowhere to be found. Only the abbreviation. So still, why didn’t they just take the BR? Just a guess, but no one probably knew what it meant, so it was much easier to take the English most people can relate with, thirty-one. Think this is an exaggeration? 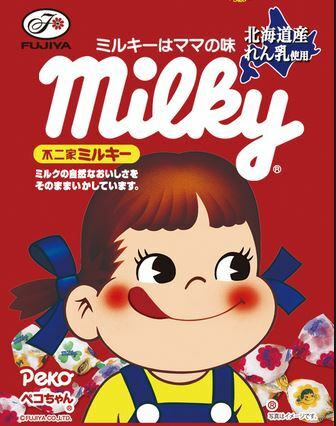 Ask some Japanese people (who have never lived abroad) if they want to go to “バスキンロビンス.” I promise you an interesting response and a へぇー in there somewhere. And one final interesting fact: Japan and Taiwan are the only two countries in the world that call it 31. 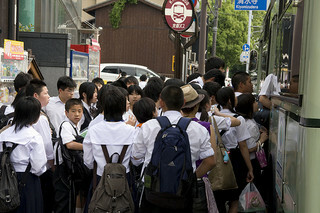 Suffering From Junior High School 2nd Year Disease? Was someone craving ice cream? Cuz Blue Seal ice cream is better than BR lol. Interesting. Hadn’t heard of Blue Seal ice cream until now. 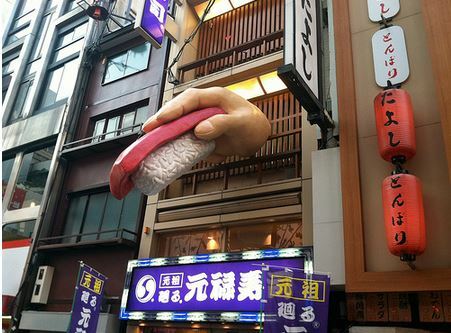 So is that big in Okinawa? Likewise, I never noticed the number 31. And just to make sure I’m getting this right, you’re implying that your husband knew of something called “31” in Japan and something called “Baskin Robbins” in the US, but just not that they were the same thing, right? Haha that is pretty funny. But I agree, I think most people are completely oblivious of the 31 outside of Japan, so when I was first told that it’s called 31, it made no sense. Back in the day (in the U.S.), Baskin Robbins was special because they had so many flavors of ice cream. Now there are tons of flavors at the grocery store, but back in the day, there weren’t. My (American) mom still calls it 31 Flavors instead of Baskin Robbins. What annoyed me in Japan was that they didn’t have even close to 31 flavors – more like 10 flavors at the location I went to. Sometimes less choice makes things easier? on a very unrelated note. So excited for Jalup advanced! Just saw it’s 75% complete wooo! it’s great you’re voicing that though, that’s a big factor in whether Adam continues to provide decks like these! The more the merrier I think.